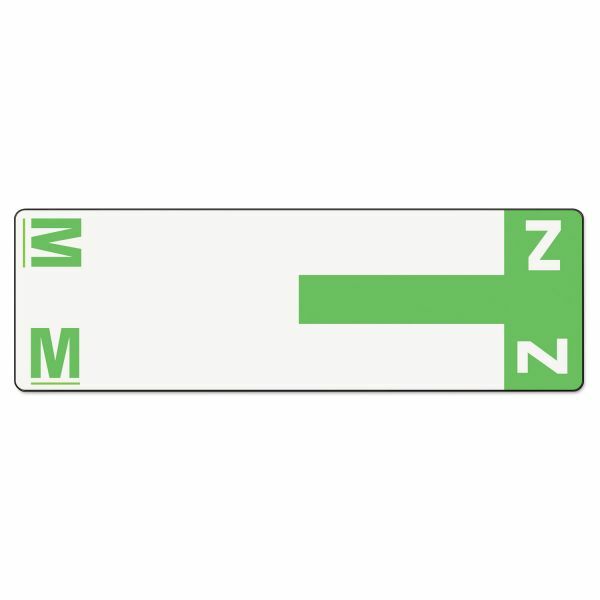 Smead Alpha-Z Color-Coded First Letter Name Labels, M & Z, Light Green, 100/Pack - Labels are designed for use in vertical drawer or open-shelf filing applications and are ideal for alphabetic color-coding in both top-tab and end-tab filing systems. Wraparound style labels can be read from both sides. 13 colors code all 26 letters. The first half of alphabet has a colored letter against a white background, and the second half has a white letter against colored background. 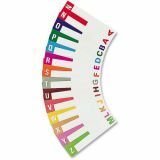 The alphabetic character and color-code bar are printed in same color. Colors match all Alpha-Z label systems. Two letters are assigned to each label to reduce inventory. 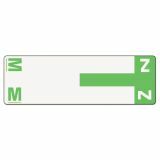 Simply tear off the unused letter when removing from the backing sheet. Then labels measure 3-1/8 wide x 1-5/32" high before folding. 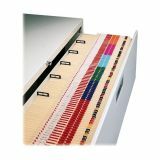 Use labels alone for midsized alphabetic filing systems or with SACCS or ACC-style labels in larger systems. Each sheet contains five labels. 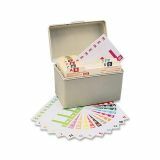 Labels include illustrated instructions and come in a usable pegboard display bag."